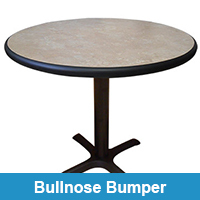 We can custom design any shape or size 1950's retro tables and Restaurant Tables. 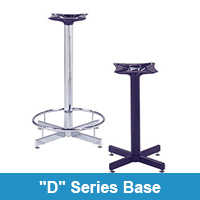 Go with our 1950s retro laminated tables, or stick with a more modern wooden table. 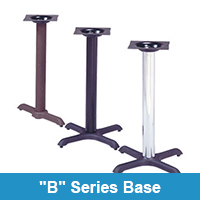 We also offer many different table bases to match. 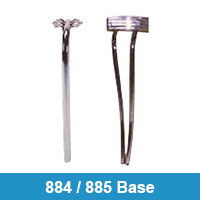 Helping you to attain the perfect look and feel that you require. 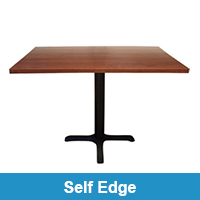 For all your table needs there is only one place you need to know. 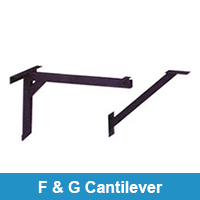 We can make sure your kitchen dinette, retro kitchen, or restaurant stand out and above the rest. 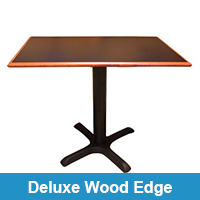 So for your Retro Table needs, check out our items below and give us a call! Need help with Assembly? 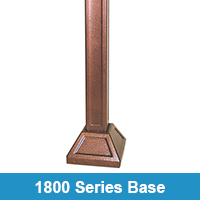 Click Here to view our Product Assembly Guides. 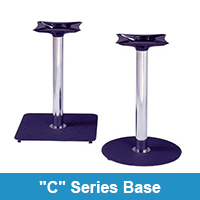 We carry a wide variety of 1950's retro table bases to fit your style and needs, if you can't find something to your liking from the listing below, we can probably acquire it on your behalf. Please contact our professional customer service team for a quote on your own design or for custom 1950's retro design services. 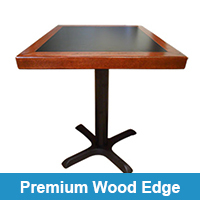 Our wooden restaurant table are American made and have the highest quality that you'll find. 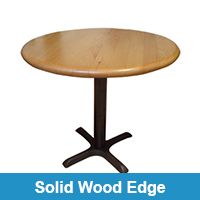 Solid wood tables look great and add beauty to your home or restaurant. As you'll see, we have many different styles and wood shades to choose from. 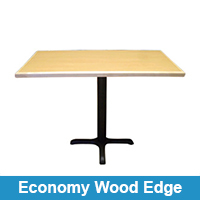 These wooden restaurant tables will be one of the firt things your customers see, and something they'll be sitting in front of for the majority of their visit. 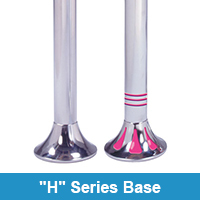 Make sure that get the best and Heffrons can help you do just that. 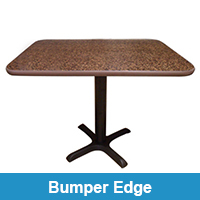 Adding laminate to your table can take your restaurant to the next level. 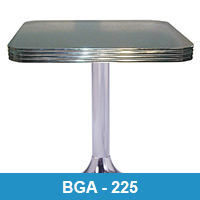 Of course, our most popular laminate tables are in the 1950s retro theme. Boomerang and Cracked Ice can really make a room pop and the color choices are endless. 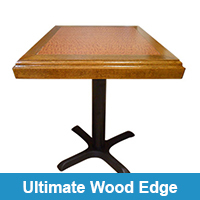 For our wooden tables, laminates are available in standard Wilsonart or Formica. The sides of your table can be just as important as the overall look. 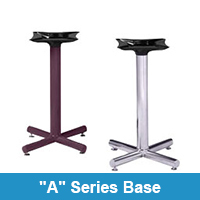 Our chrome edge and Metal Banding are perfect final touches to your tables. Our friendly staff can help you find exactly what you need and make recommendations if you find yourself stuck. 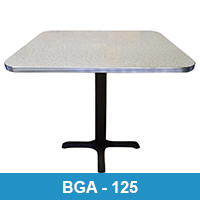 Give us a call today and ask about our retro and restaurant tables.